There is no finer destination to hold a stunning wedding that will inspire guests and encapsulate the romance of the day. 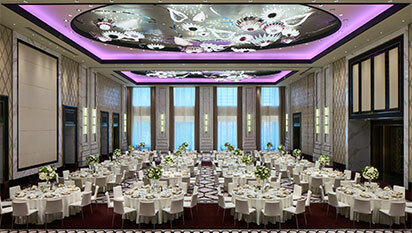 The Bellagio Shanghai is the ultimate address for weddings that flow seamlessly and make the special couple feel like royals. An exclusive VIP room of 80 sqm is specially prepared for bride on the 2nd floor, including dressing room, bathroom, shower room and lounge. It is a warm and private space for couples to enjoy their sweet moment.